When you are on a hiking or camping trip, there is a high likelihood that you’re staying at a place with no electric outlets. In order to combat that problem, you will need a handy camping flashlight unless you want to be stuck in the middle of nowhere in the dark. Flashlights can assist the hiker or camper in many ways. They may just brighten a dark spot but can also be used to signal for help if the going gets tough. Camping flashlights are now designed to be more than just weak beams of light. They are built to help you survive on an adventure of your choosing. If you are not too familiar with the trek and stay is going to be a little challenging, then it is better for you to do some research beforehand. This list can help you pick the best type of camping flashlight according to your needs. 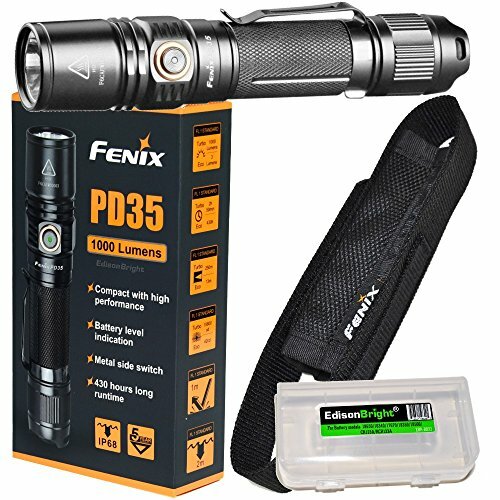 How to Choose a Great Flashlight? Some campers prefer headlamps when they are planning a multi-day trip, but flashlights come with their own advantages. The handheld design of the torch makes it a portable device that has multiple uses. It allows you the ability to point it where you want the light. You can even set it down while you’re doing something. Most flashlights also assist you during an emergency since they can change into a signaling device. Flashlights have also become more portable, efficient and long-lasting. Even with their practical, compact size, they are often ten times brighter than older, heavier versions. Weight and Size: Choosing a lightweight option can be really great when you are going hiking or camping. You don’t want a lot of heavy knick knacks weighing you down and causing you to tire easily. Battery Type and Runtime: You need long-lasting battery life, especially if you are planning a multi-day trip to your favorite camping site. It should also be rechargeable as you can use power banks to make the battery last longer. The battery should also be easily replaceable if you need a new one. Light Output: The number of lumens the flashlight can release is also an important measure of the flashlight. 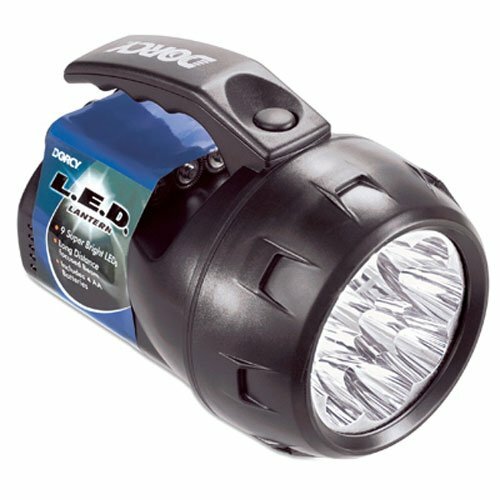 If you need one for small chores at night, then going with a low-lumen count is great. 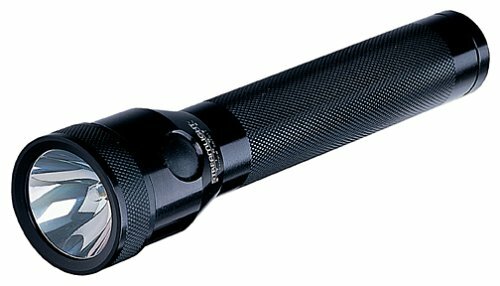 Other heavy duty torches are also available if you plan on exploring at night. Price: The torch should also be affordable and according to your budget. If it is an expensive one, then it should be designed in such a way that it lasts you for a long time. Water-Resistance: If you are planning on a hike or camping trip then you should account for the weather and trail type. If there are a lot of streams, rivers, or pools that you may have to cross then choosing a water-resistant flashlight is a practical purchase. Impact-Resistance: Camping and hiking can take a toll on your gear and belongings. The torch needs have a good chance of survival and low risk of wear and tear. This will make it a more reliable and durable tool in the long run. Choose a flashlight according to your personal needs, and it will be the most effective tool on your journey. Heavy duty flashlights are made for regular campers and hikers that prefer the thrill of harsh adventures. They are usually made from heavy-duty LED bulbs since LED flashlights are very durable as they don’t have any filament or glass components. They also don’t waste energy making heat, which prolongs their life span. These flashlights don’t use incandescent bulbs like other torches do since the bulbs have a smaller lifespan. They used to only come in colored light but now are available in white light that seems more natural. The Anker LC90 LED Flashlight is made with a 900 lumen bright light that can emit a light length of about two football fields. It has a zoom function that allows you to change the wide beam to a narrower one according to your needs. It has five adaptable settings that include an SOS version for emergencies. The flashlight has a long-lasting that can last for up to 6 hours on medium beam. It has a rechargeable battery of 3350mAh and has a 50,000 hour lifespan. This makes it a reliable tool to take while you are camping or hiking. Even if you come across some bad weather, there is no need to worry. It can be used in heavy rain since it has IP65-rated water resistance. It will even endure rough handling due to its shock-resistance technology. The body is made from a durable aluminum which can sustain a lot of wear and tear without any malfunctions. Even if you are planning on braving a cold weather front, then this flashlight will have no issue. It will illuminate the area around you with no issue even in 14℉/-10℃ weather. The torch is designed with smart attachments so that you have a multipurpose tool while camping. It has a compact chassis and an anti-slip finish so that you don’t lose it while hiking. It has a flat on-end which means you can turn it into an emergency lamp as desired. The PD35 V2.0 comes in a Camo edition that has a camouflage appearance for tactical concealment. It is a pocket-size device but has higher performance for tactical employment. The CREE XP-L HI V3 LED has an amazing maximum output of 1000 lumens. It has a far light length reach of 250 meters, which is more than what many torches usually offer. It comes with 5 output levels that include an instant strobe option for emergency situations. It has a battery level indication as well, but you won’t need it since it has a rechargeable Li-ion battery of 18650. If you are planning on hiking or camping in cold weather, then you can also use CR123A batteries which are known for their cold-resistant power. The LED flashlight claims a 50,000 hours lifespan, which makes it one of the most reliable flashlights in the market. It has a user-friendly design as well. The dual switch design offers metal side switches and a tactical tail. This allows the torch to be turned on at a rapid rate, which can be crucial in many camping or hiking situations. The flashlight is also anti-slip and anti-roll, which reduces the risk of losing or dropping it somewhere along the forest floor. It is made for oxidation-resistant and high-strength aluminum, making it a durable option for campers and hikers. The Streamlight75014 Stinger is designed for heavy-duty use since it is the preferred brand for many law enforcement officials. It has a strong beam of light with a powerful Xenon bi-pin bulb. This gives you a strong beam of 125 lumens. The beam can be customized using the focus mechanism from a flood light to a narrower spotlight, depending on your preferences. The beam can last up to 30 hours which makes it a reliable tool to carry with you on your next camping adventure. It has 11,000-candela peak beam intensity and can reach a beam distance of 210m. The stinger torch is rechargeable and can give an hour of continuous use from just a single charging. The nickel-cadmium battery can be recharged up to 1000 times, perfect for a regular camper. It comes with a snap-in charger that is designed to be compact. The flashlight is lightweight ensuring that you don’t have to carry a large burden while you’re camping. The lens is made from a special unbreakable polycarbonate that makes it a reliable and durable torch. The scratch-resistant coating protects it from wear and tear. It is rated IPX4 for its water-resistance functions and has a unique serial number for easy tracking. The anti-roll rubber ring and non-slip comfort grip make it a great torch for adventures. These come in handy when you aren’t really going to explore or hike during nighttime. They are mostly meant for small camping chores or when you don’t really need a powerful beam to wake everyone up. These flashlights have their own merits that every camper needs to recognize. The light also comes with a rapid flash rate of 500 lumens when the strobe mode is on. This can be really useful in emergencies and provides a visible signal from miles away. 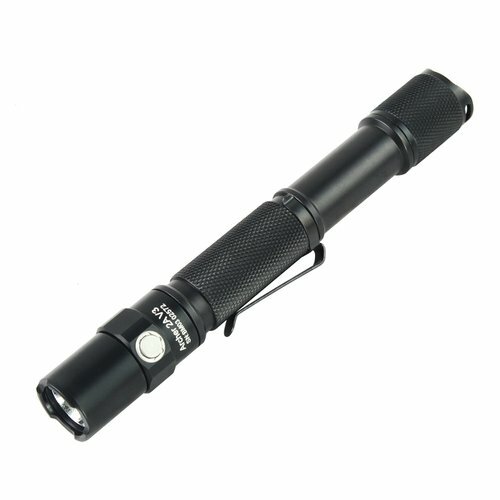 It runs on reliable 2 AA batteries and has a maximum beam distance of 108 m.
The flashlight is made from a durable material. Aerospace grade aluminum has been used to make the body with an anodized anti-abrasive finish, which limits wear and tear. The body is also waterproof and adheres to the IPX-8 standard. The two-button interface is also easy to use and doesn’t leave room for mistakes. It comes with a belt clip and lanyard, which makes it easy to carry while hiking to your favorite camp spot. 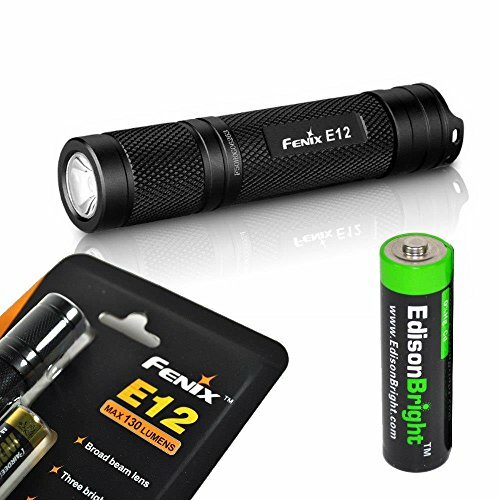 The Fenix E12 has a very practical design that provides functional lighting in crucial situations. It has a small size that makes it a really great product for campers and hiker who don’t want to carry a lot. It uses a single AA battery, which makes the torch really lightweight as well. It can produce 130 lumens of light for 22 hours, which makes it a reliable and stable tool to keep around. The beam length for the torch is 88 meters, which isn’t bad for a camping trip. It has a user-friendly tail-tap switch that controls the functions of this flashlight as well. 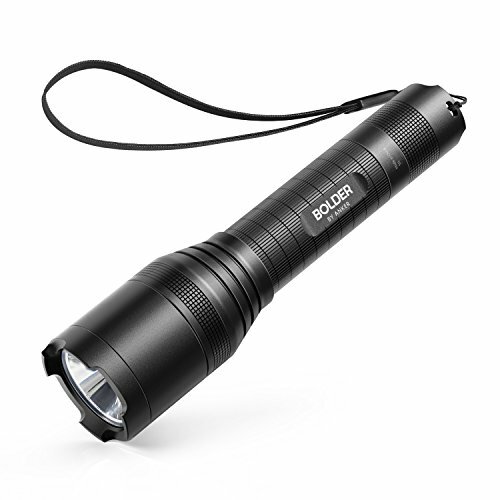 The flashlight has 3 output modes that provide a high, medium, and low option. The last one produces 8 lumens of light and can the torch will last you a good 40 hours. Overall, the flashlight has a lifespan of 50,000 hours. The body of the flashlight increases its functionality and practicality. It has an IPX-8 waterproof rating, which makes it a useful tool even in rainy conditions. The high-efficiency total reflection lens gives a powerful beam of light. It has an anti-abrasive finish, which reduces the risk of wear and tear. The flashlight has a flat end that can be used to turn the torch into a lamp. Light sticks are perfect for beginner campers who don’t want to invest in heavy-duty flashlights. They are perfect as temporary light sources. 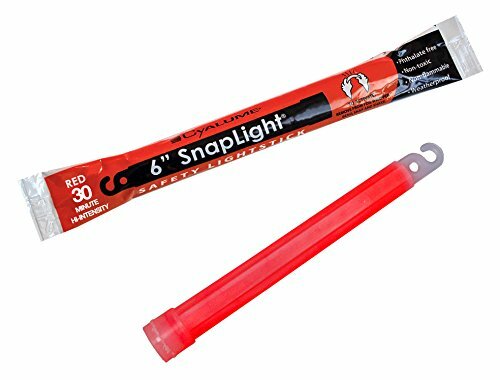 The SnapLight Premium Light Sticks are made by a US military contract holder and give the user perfect light. They are 6 inches long and illuminate the area at 360 degrees. The chemicals used in the light stick are made in a phthalate-free plastic body. They are non-flammable and non-toxic. They also have a four-year shelf life, so you can store them in your garage until your next camping trip without worrying about leaks or faded illumination. They are perfect for outdoor activities since they provide a bright light that can be seen a mile away. The light sticks are buoyant, environmentally-friendly, and waterproof. The Snap Lights come with a hole and hook that make it easier to attach or hang the light whenever you need. As a safety measure, it is important to select a flashlight that can be charged by solar power. It is an eco-friendly way to ensure that you always have light at night since you can easily charge it in the day while hiking. The Solar Charge Camping LED Flashlight only needs a few hours of sunlight to recharge. It has an LED bulb that can easily light up any room and also has a USB charging attachment in case you don’t have ample sunlight. 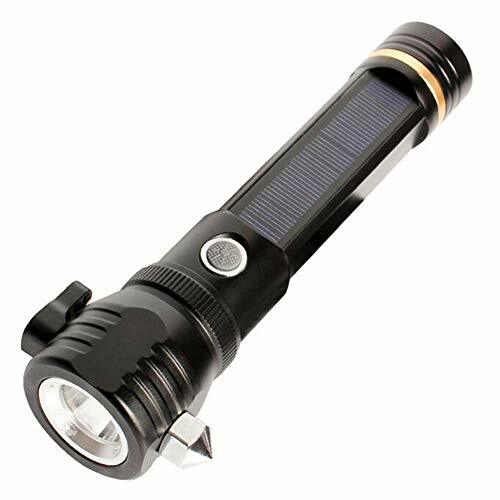 It is a compact flashlight which is shock-resistant, waterproof and has an anti-slip handle. It is made from durable aluminum, making it long-lasting and reliable. While you are out camping or hiking, you need to make sure that everything you carry is practical. The flashlight you are carrying shouldn’t take up unnecessary space and should have extra attachments that make it more useful. The NewVan Tech 3 in 1 Multi-Function Flashlight has three main modes that you can convert it to. Firstly, it has an emergency red light that flashes as well to attract attention. 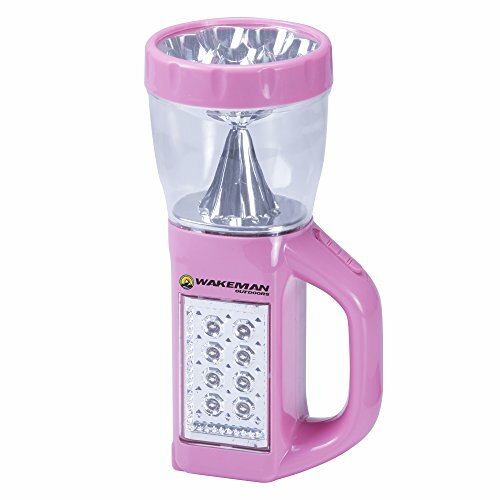 Secondly, it can be converted into a work lamp as well since you may need it while you are doing something in the dark. Lastly, it has a basic flashlight function that you can use while you are hiking at night or setting up camp. It is built with a strong magnetic base which sticks on any metallic surface. This hands-free function comes in handy when you are setting up camp or cooking something. It is a lightweight flashlight with a rear pocket design so that you can tuck it away safely. The torch is designed with smart attachments so that you have a multipurpose tool while camping. It has a flat on-end which means you can turn it into an emergency lamp as desired. It has a compact chassis and an anti-slip finish so that you don’t lose it while hiking. The multi-function lamp can be used as a regular flashlight, side panel light, or a lantern. There are 8 bright LED bulbs that can effectively illuminate any area you are in. the 3-way switch makes it easy to convert the flashlight into what you want. It is the perfect indoor and outdoor lighting tool that you can use for hiking, camping, fishing, boating, backpacking, reading, and more! The flashlight is designed to last you a long time with its energy-efficient technology. It has an advanced system of lumen-per-watt ratio that saves energy. It is a lightweight device despite being multi-purpose. Sometimes campers do need bigger flashlights that give a good amount of light. While setting up camp or explore a dark cave, you need a bigger light so that everyone can see clearly and not trip. The 4AA lantern has 9 really bright 5MM LED bulbs that are sure to illuminate any space around you. It has a really sturdy construction that will last you a really long time. It has a handle-mounted push button that is easy to reach and thus really easy to use as well. The compact design is still designed for long distance beams that can illuminate the space in any situation. 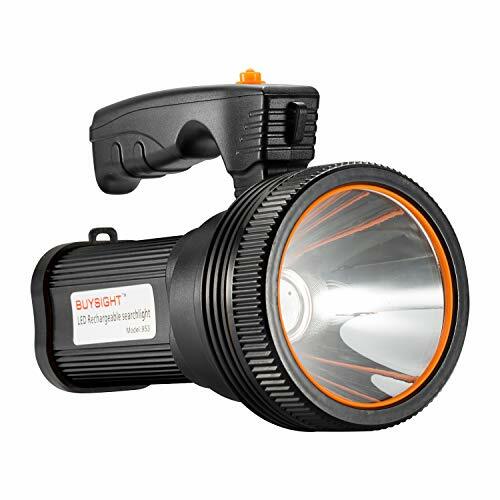 The handheld tactical flashlight by BUYSIGHT is designed for long-lighting distances. You can adjust the brightness levels that allow an ultra-long 800-meter range. It is a convenient light that you can recharge as you see fit. It has a battery capacity of 9000mAh that can last you a long time outdoors. It also comes with a built-in power bank which you can use to charge other devices. It has an IP4 rated waterproof design which won’t get harmed if some water splashes on it. This means you can use the flashlight in adverse weather conditions as well. The handle of the flashlight is comfortable to hold and comes with an adjustable shoulder strap which is pretty handy. While most flashlights for camping and hiking are designed to be waterproof, some adventures need a completely water-ready device. For example, if you are going to explore underwater caves while on a hike or have to cross a deep river, you may need a heavy-duty waterproof flashlight. 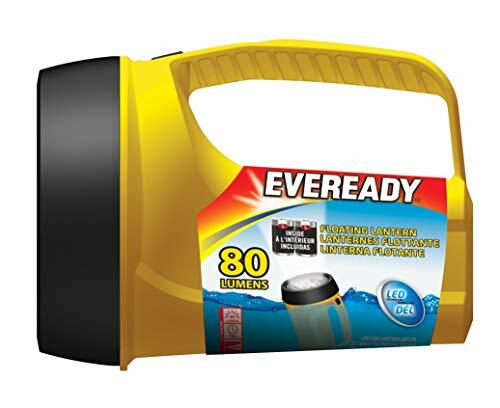 The Eveready Readyflex Floating flashlight is designed for a water-filled adventure. It floats in the water so that you can retrieve it easily in case you lose your grip. It runs on 2 D and 4 D batteries that are easily available at any hardware store. It has a long-lasting LED bulb that shines four times brighter than other normal LED bulbs. The powerful beam is designed to penetrate the water so that you can see clearly even under water. The run-time for the flashlight is 140 hours. While you are hiking or camping, you need your hands to support yourself or perform a task. Holding a flashlight in such situations can be quite uncomfortable. 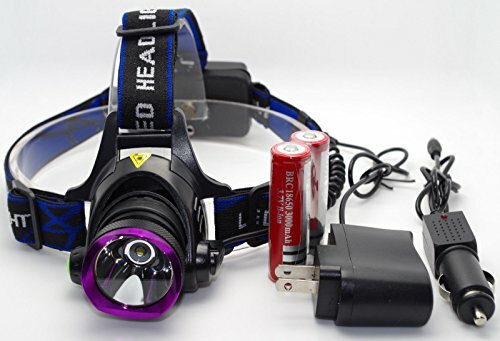 Headlamps are really great to use in such situations and provide a lot of support to the camper. The Sonoma Valley Headlamp Flashlight is designed with 5000-lumen brightness. It has a long lifespan of 100,000 hours, which can be pretty useful when it comes to camping. It is waterproof, so you can take it in adverse weather or through streams without issue. It has 3 lighting modes including normal, strobe, and high brightness levels. The headlamp is also rechargeable, which ensures you don’t run out of battery while hiking. If you’ve set up camp in a place with no electricity then light can be really hard to come by at night. You need a good amount of light on all sides when you are setting up camp at night or sitting around playing a game. A 90-degree flashlight can light up the entire area in an easy way without using up multiple flashlights. 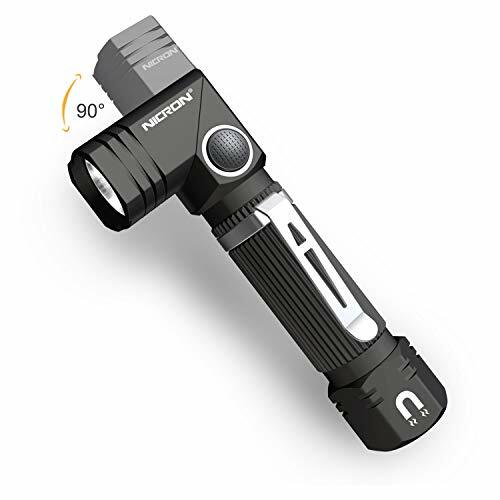 The 90 Degree Mini Flashlight is a really practical design that lights up the entire area up to over 413 feet away. It is a really bright light that uses smart voltage technology. You can either use AA battery or the 14500 rechargeable battery to light up the area. It has a magnetic tail which comes in handy when you are hunting, camping, or hiking since it allows free-usage of your hands. It is small enough to fit in any backpack or pocket. 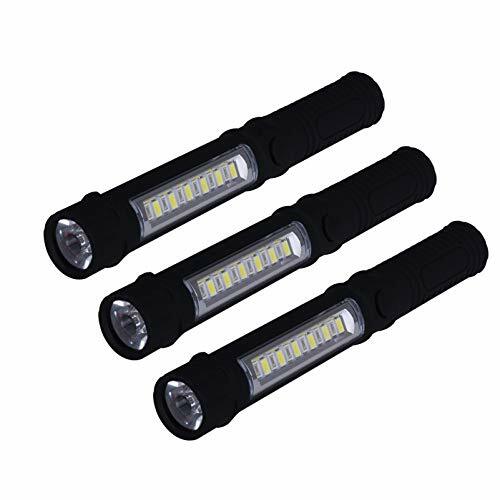 The flashlight is IP65-rated water resistant and can be used in heavy rain and snow as well. The tough design ensures that it can drop around 4 feet without even a scratch. It has energy saving settings that ensure that the light lasts for a long time. When you are in a hurry, you don’t want a cumbersome heavy-duty flashlight weighing you down. This is especially true for cases where you don’t really a huge beam distance of 800 meters like when you are reading a map or getting ready for bed. 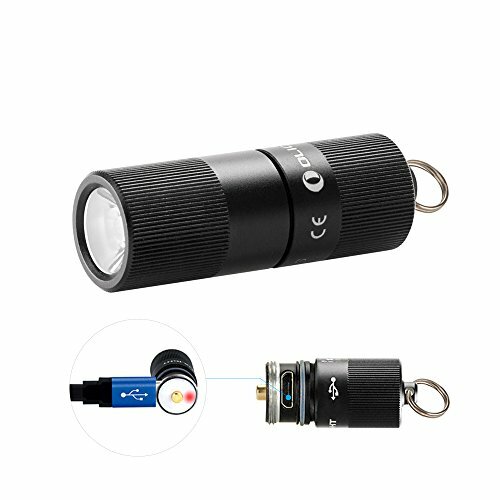 In such cases, mini keychain lights are easy to use and carry. The Olight Keychain Light has a 130-lumen beam that is perfect for temporary use. It fully charges in about an hour through a built-in micro-USA charging port. It has a Philips LUXEON TX LED light that is designed as a high-performance bulb. It has a soft but balanced beam which is perfect for small chores while you are camping. The entire light is thinner than a pinky finger and shorter than an AAA battery. While you are camping or hiking, it is essential to take practical and functional tools with you on the trip. Every item you carry should be designed to enhance your outing and assist you. Flashlights are really great tools since they provide assistance with the most basic functions that would be impossible in the dark. A camper or hiker needs to invest in a flashlight, even if they think they won’t end up needing one.